Attorney-General David Parker could face up to $1.8 million in fines or a five year jail term after filing false statements with the Companies Office during his time as a Labour MP, according to a story in the latest Investigate magazine. 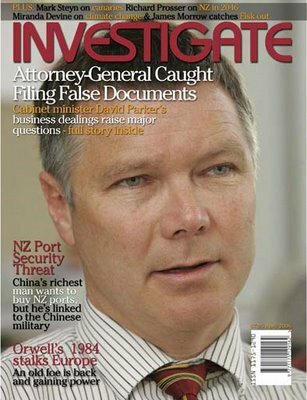 The magazine says it has six documents bearing David Parker’s name, that make a false declaration to the New Zealand Companies Office about the Labour MP’s business affairs. Four of the documents have been submitted since Parker became a Labour MP, the most recent document is dated 2005.